Cutting a pizza can be a stressful experience: are the slices equal? Now, a team of mathematicians has found some new ways to cut pizzas into exotic slices, while still ensuring that the all-important size considerations are met. 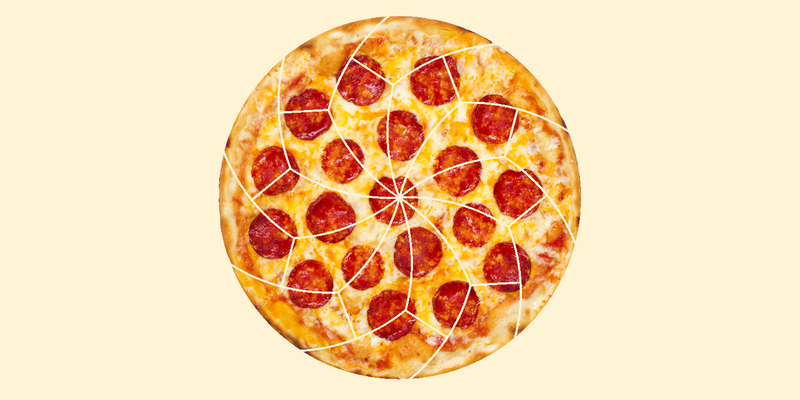 The slicing of pizza is an oddly well-researched area of mathematics, principally because it has less to do with pizza and more to do with circular geometry. But that doesn’t stop the team from Liverpool University focussing on the fact that it’s really investigating a way to slice everyone’s favorite bread-based meal. But go easy, or you might need a very accurate pizza cutter indeed. Top image adapted from Shutterstock. All other images by Joel Haddley/Stephen Worsley.